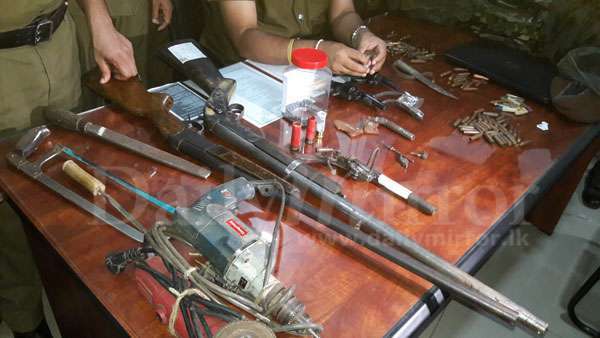 The Police had found live bullets and several military equipments including army uniforms when they carried out a search operation in the house of Anushka Kavishal alias Janga, an accomplice of underworld drug kingpin Makandure Madush in Talalla, today. Police said Janga was arrested in Dubai along with Makandure Madush on Tuesday (05). 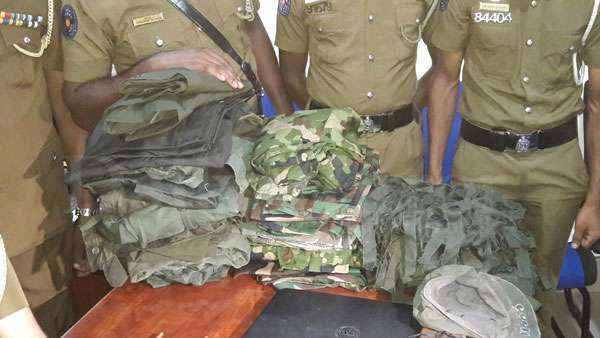 During the search operation, the Police had found nine army uniforms, two army helmets, 32 T56 live bullets, 11 training bullets, 37 empty cartridges, five SIM cards, a laptop and several other equipments. 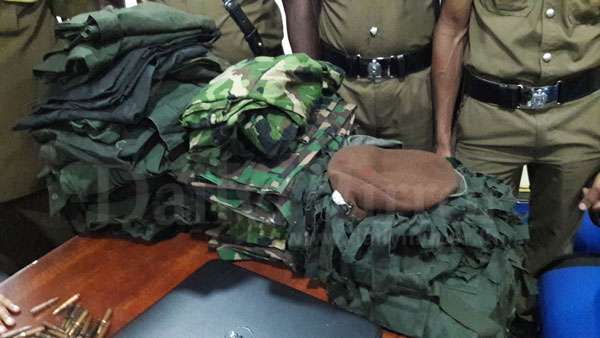 Accordingly, the uncle of Janga had been arrested on the suspicion of possessing those equipment. Janga has been a wanted criminal in murder cases and robberies. 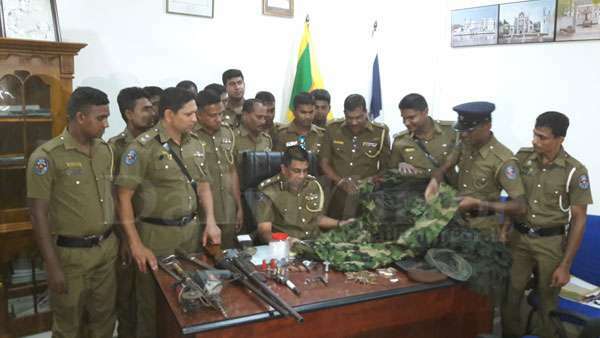 CULPRITS WERE ARRESTED IN DUBAI IS BEING INDUCED OUR POLICE TO ARREST LAND ROOTS. I see 17 Policemen on the picture. Shouldn't they be going after the criminals and drug pushers instead of wasting tax payers money on photo shoots? 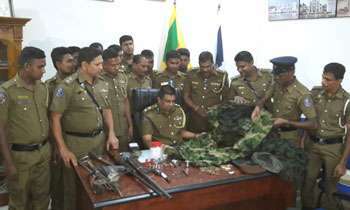 We are proud of our Police force for this timely catch.They deserve handsome rewards as an incentive.